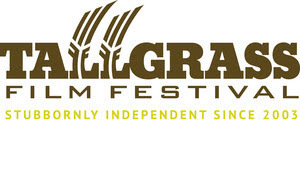 Wichita, KS (April 3, 2017) – The Tallgrass Film Association today announced the creation of the DoXX Spotlight Section which will debut during the 15th edition of the Tallgrass International Film Festival Presented by Consolidated Equities Trust (October 18-22) in Wichita, Kansas. TFA also announced the first jury members of the newly created section, which will be comprised of feature-length documentaries directed by women. 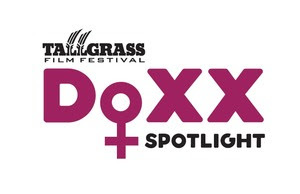 The three women that will comprise the jury for the Tallgrass Film Festival’s inaugural DoXX Spotlight competition will be the Seattle International Film Festival’s Interim Artistic Director Beth Barrett, Women Make Movies Executive Director Debra Zimmerman, and award-winning documentary filmmaker Maisie Crow. The Women's Media Center recently reported that over the last 10 years, only 20% of behind-the-camera Oscar nominations (directing, writing, editing, etc.) have been bestowed to women. When examining the highest-grossing films since 2007, only 4% of the top 1,000 titles were directed by women. Beth Barrett is the Interim Artistic Director of SIFF (organizers of the Seattle International Film Festival, SIFF Cinema, and SIFF Education) and has been working with SIFF programming since 2003. She is responsible for all aspects of SIFF programming, including securing films for both Cinema and Festival, talent, developing special events and forum programs, and leading an international team of programmers. She attends many major film festivals, and has developed a network of programmers, filmmakers, and distributors in the search for the best films of the year. An aficionado of short films, she secured SIFF’s status as an Academy Award® qualifying festival in 2008. Beth has been in Seattle for 23 years and holds an MA in Northern Renaissance Art History. Maisie Crow is a documentary film director, cinematographer and photographer. Her 2016 award-winning documentary, Jackson, is an intimate, first-of-its-kind look at reproductive health care through people in the Deep South who stand on both sides of the debate. Village Voice praised it as “elegant, unsettling” while New York Magazine said it "comes at a pivotal moment for reproductive rights". The Last Clinic, a short-film and multimedia collaboration with The Atavist Magazine about Mississippi's last abortion clinic, was nominated for a News and Documentary Emmy and a finalist for a National Magazine Award in 2014. Maisie has taught as an adjunct professor at the Columbia University Graduate School of Journalism, CUNY Graduate School of Journalism and the Salt Institute for Documentary Studies and The Salt Institute for Documentary Studies. She lives in Marfa, Texas with her husband and two dogs. To be eligible for the DOXX Spotlight, films must be women-directed, feature-length documentaries (male/female co-directing teams are not eligible) and not have any traditional distribution deal (theatrical or VOD) at the time of the film festival in October. These selections are not bound by budget or country of origin. Finalists will be selected by the Tallgrass Film Festival Programming Committee and will then be reviewed by the 3-woman jury of industry professionals and filmmakers. Film Fatale members may submit their narratives and shorts for free. Similar to Tallgrass’s celebrated Stubbornly Independent competition, the top film, as selected by the jury, will screen as part of an evening spotlight during the festival with a post-screening Q&A and special honors to the filmmaker(s). All other finalists will be screened in regular competition at the festival, as well.